While my oral surgery was trying, there was a bright spot on my recent sojourn to D.C. My friend, Anne, was heading to France a while back and asked if there was anything she might bring back -- well cookbooks, of course. I made a little list and in the interest of expediency (face it, not everyone thinks their time is well spent combing old bookstores!) I send a few titles to her friend Francoise. Well, Anne had a death in the family. She re-scheduled to fly out the day AFTER the Icelandic volcano. Finally she got to Paris only to return the day I arrived for my surgery. 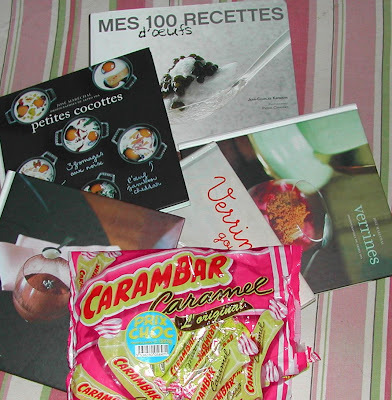 So waiting for me was a stack of cookbooks and a bonus bag of carambars. They are way to chewy to actually eat, though the ever adventurous (or suicidal) Teddy tried to snag one out of the bag but was caught in the nick of time! 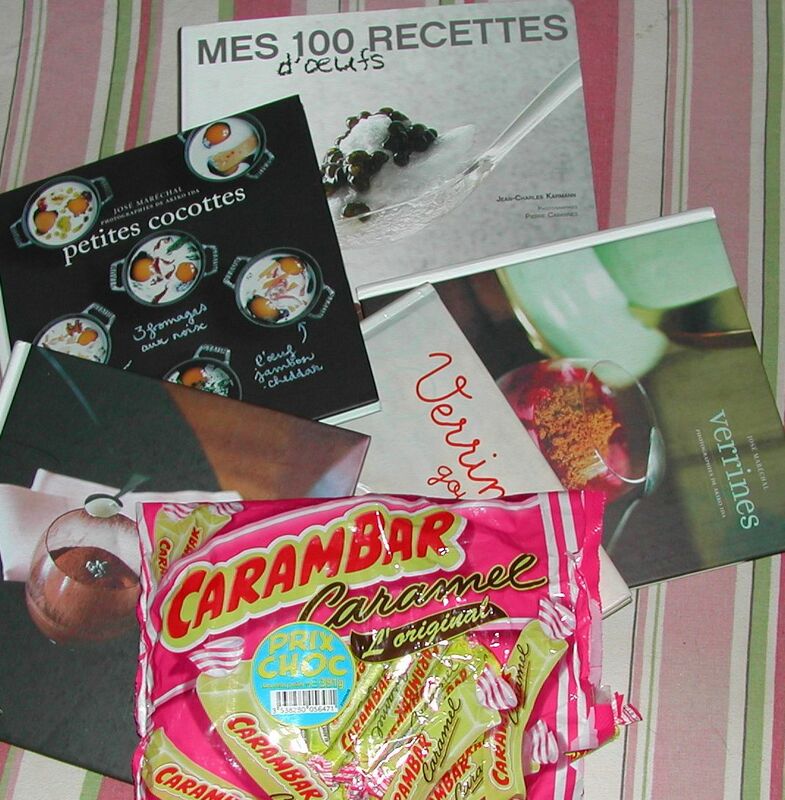 Next week, we will feature a cookbook or two at Cookbook Of The Day and here, perhaps, a Tarte au Carambar.